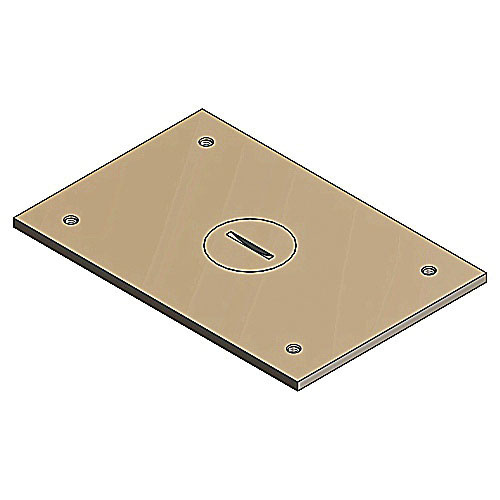 Thomas & Betts Steel City® 1-Gang floor plate measuring 4-1/2-Inch x 3-Inch, features 3/4-Inch NPS plug. This plate includes sealing gasket and 8-32-Inch x 7/16-Inch brass screws. It comes with a seating plate for receptacle. It is compatible with 61W, 62W, 640P, 640, 840 and 740 series floor boxes. It is suitable for multi-gang floor boxes for power and communications applications. The floor plate is UL E2969 listed.